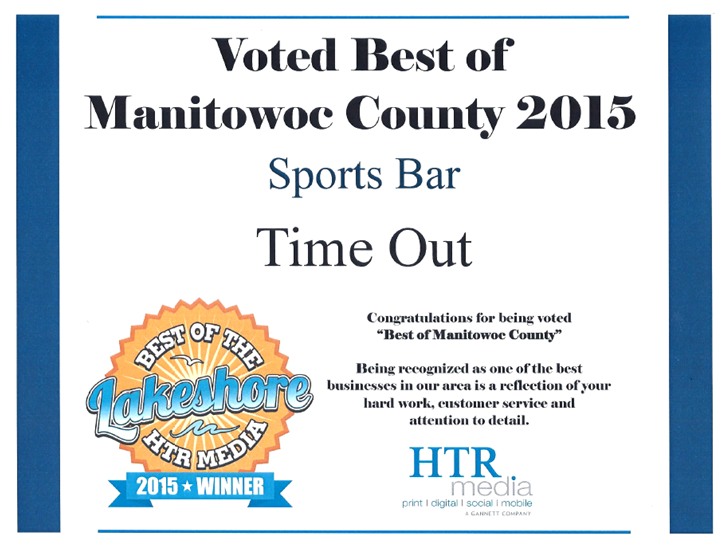 Voted "Best Sports Bar" of Manitowoc County 2015. We offer a full service island bar, spacious dining area, updated game room, outdoor dining and private banquet room. Hope to see you soon! Serving lunch and dinner 7 days a week. All menu items available for dine in and carry out. Call us with your carry out order and we will have it ready to be picked up at our convenient drive-thru window. 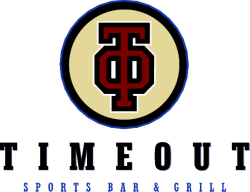 Copyright 2019 Time Out Sports Bar & Grill. All rights reserved.